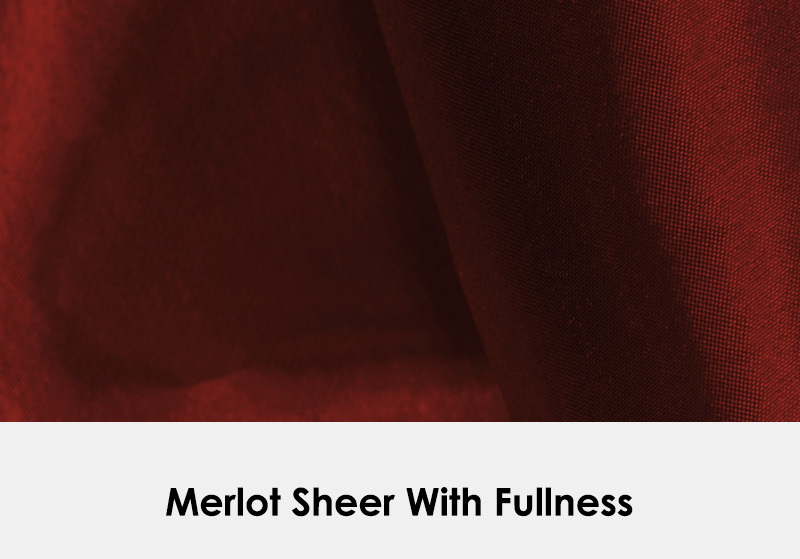 If you are looking to create that special mood, look no further than Drape Kings’ Merlot Sheers. 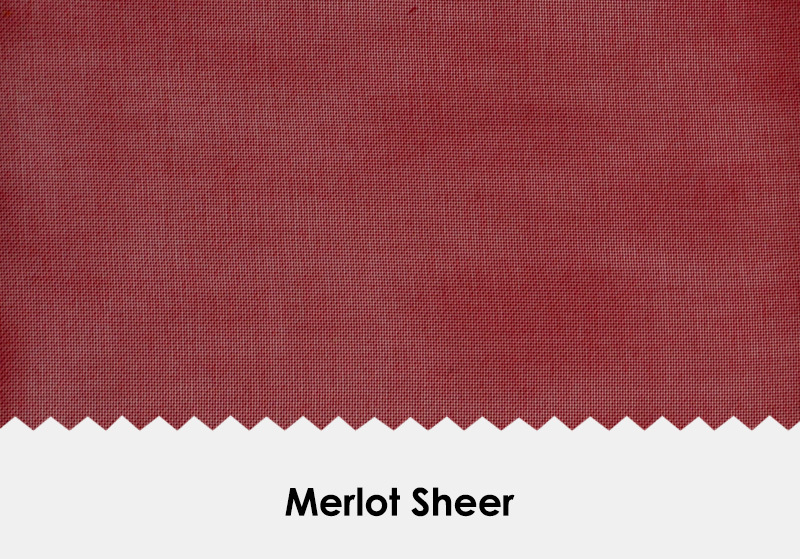 This lightweight and diaphanous drape may also be used alone or as an overlay. Sheers are great for lighting effects and this super lightweight IFR, 100% polyester fabric is typically hung at 200% fullness. 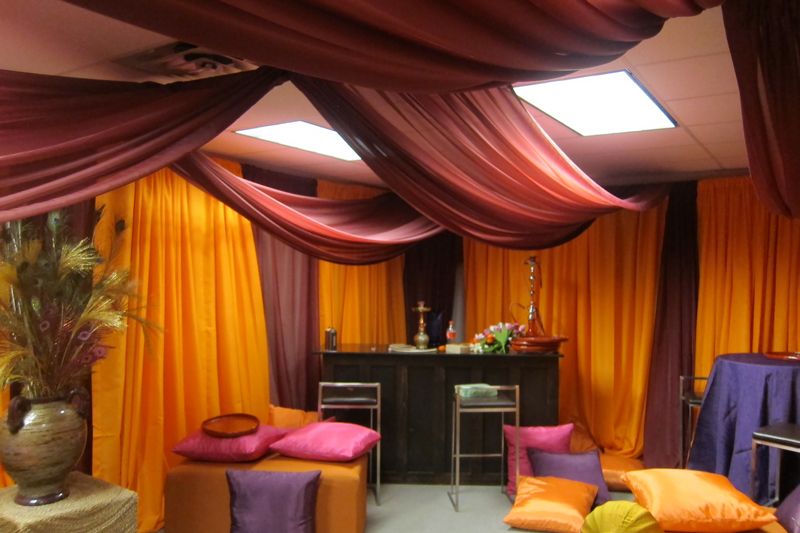 Call Drape Kings toll-free at 888 DRAPE ME to discuss your pipe & drape needs. Elegant sheer polyester, used alone or as an overlay. Great for lighting effects. Inherently Flame Retardant. Certified to pass NFPA 701-2010, TM #1; Calif. Title 19, test #1237.1, small scale. Made in South Korea, China and Taiwan. All drape sizes are nominal. Colors are for representation only. Dye lots and colors may vary.